It Works! 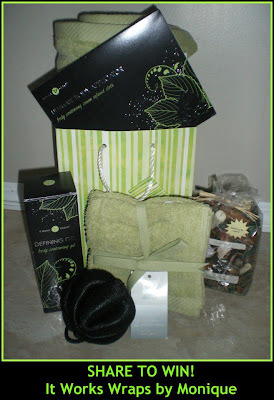 Wraps By Monique: An It Works Wraps By Monique Giveaway: Like our page It Works! Wraps by Monique and SHARE this photo to be entered to win this gift bag worth over $200!! *Only one share person.